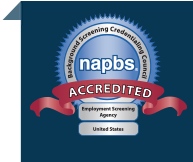 There’s no doubt that the most important thing about background screening is to get the accurate, relevant information you need to make good employment decisions. But even if we take this central goal as a given, the method you use to get the information can have a big impact on your direct cost, staff productivity, ability to demonstrate compliance, and the overall flexibility of the screening program to adapt to changing requirements. If you are like most employers who want to outsource background screening to a professional agency, you should evaluate the provider to make sure it has the right technology in place to let you access and manage the screening process. The current state of the art system is an online platform that has an intuitive user interface to give you access to the actionable data and intelligence you need to make better decisions. It will facilitate your workflow and communication with applicants, including full compliance with federal and all 50 states’ regulations. The information you generate will be reported in useful formats for action, and will be stored in secure facilities for tracking, history, and risk management. 1. The provider should have an online management dashboard that is easy to use, and provides access on demand to open orders, turnaround time, and status for every order. 2. You should find an intuitive procedure for adding new applicants, defining the screening parameters, and submitting orders for services. 3. 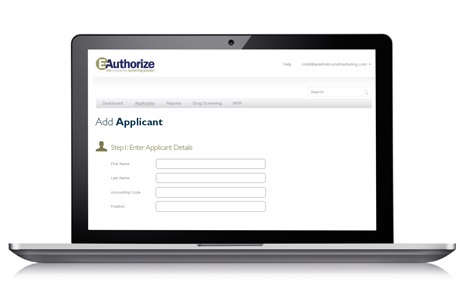 Having the capability to allow applicants to enter their own information is an important time-saver, helps increase accuracy, and places responsibility for the information on the applicant where it belongs. 4. As an employer, you’re required to obtain consent from your candidates for background screening. A system that performs this essential task online—including getting the required signature for authorization—in a simple one-step process will save time and money compared to a hands-on process like faxing or mailing. And the error rate will go down, too. 5. Every organization will have its own policies for screening in place. 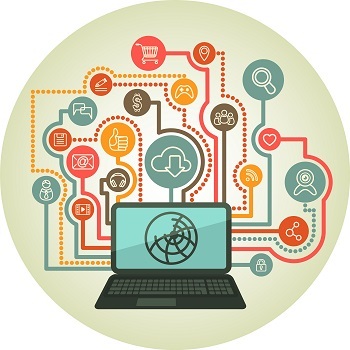 Your provider’s system should be able to implement these policies based on your input through a clear, user-friendly interface. 6. The system should provide the data security required for compliance history, personal data safety, and records retention. It’s not enough to comply with screening requirements—you have to be able to demonstrate it. Your outsourced background screening provider should be giving you good research data on a timely basis, with a management system that increases your productivity. The right system will help your staff add new candidates easily, monitor the process, and make good decisions based on the reports. Find out how our simple background screening process can help your organization make better hiring decisions.